While the necessity of having a comprehensive health insurance in India is an undeniable fact in this time of soaring medical costs, getting the right one has been proving to be tricky for many. Some tend to go overboard and burn a hole in their pockets by buying high-end health insurance plans with unnecessary features. And, some other, instead of checking out the health insurance plans closely just jump on any health insurance policy online they come across and hence, not getting the desired coverage in time of their needs. In India, there is no dearth of various types of health insurance online policies. So, what are the best options that don't cost you a fortune but will shield your medical expenses to keep you financially secured? Read on to understand what you really need and how should you pick the right health insurance plan for you and your family. Many health insurance plans don't cover total treatment expenses of some particular diseases even if the chosen Sum Insured is high. And the same goes for covering the rent of the room as well. The room rent limit denies many policyholders from getting the full coverage even after choosing high Sum Insured. Therefore, when you compare health insurance online you should opt for no-limit option. By opting out sub-limit, you will get only those health insurance plans don't come with any such limits. You can compare and buy National health insurance, Star Health insurance and Apollo Munich health insurance plans as these health insurance companies in India usually offer plans with sub-limits. This option seems lucrative initially as it helps decrease health insurance premium. But, at the time of claim settlements, you have to shell out a good part of the claim amount and will nullify the savings you made on premium. Therefore, it is another restriction that you should steer clear of. By opting out co-pay, you can select those health insurance plans that don't compel you to pay from your own pockets in time of medical and financial emergencies. Overlooking of this restriction can be severe at the time of claim. Many policyholders don't go through their health insurance policy documents carefully and make claims for pre-existing diseases that invariably get rejected. This why, it is good to choose a health insurance policy with minimum restrictions regarding waiting period. Health insurance plans without such restrictions may cost a little higher but if you can afford them you should buy them to avoid these restrictions. Apollo Munich health insurance plans are your best bet if you are looking for health insurance without these unwanted restrictions. Armed with this benefit, the Sum Insured gets automatically restored once a claim is being made so that the rest of the family members can still make use of the floater policies in that particular policy year. Health insurance from National Insurance and New India insurance plans for families are particularly beneficial and inexpensive as well. By choosing a family floater health insurance plan with restore benefit you can keep your entire family covered. However, if there is senior citizen in your family you should get a separate senior citizen health insurance plan for that person. And, if any member of your family has pre-existing disease, you are better off getting an individual health insurance plan with minimum restriction pertaining to waiting period. Medical costs are increasing at a breakneck speed with each passing year. When you buy health insurance online you need to keep the cost of hospitalization after 10-15 years to calculate the right Sum Insured. Therefore, a high Sum Insured can keep you worry-free but you have to pay higher premium. Top-up health insurance plan can serve your purpose of having a substantial coverage at a cheaper rate. A top-up health insurance plan in India costs lot less than a regular indemnity health policy. These plans come with a deductible feature which is also known as threshold limit. Top-up plans come into effect once the threshold limit is crossed. So, your chosen deductible should be the amount you choose for your basic indemnity plan. In that case, once the treatment costs go beyond the coverage of your basic health insurance plan, top-up health plan can take care of the rest of the expenses. There are many fatal ailments that not only trigger high treatment expenses but also make the patient unable to work and earn. This is why critical illness coverage is of utmost importance and you can get the same in your indemnity health plan as well. Many Star Health insurance and Apollo Munich health insurance online policies come with a cover against critical illness. If you have a family history of life-threatening diseases like cancer, you can consider a critical-illness plan as well. These plans cover a specific number of ailments and pays out a lump sum if the insured is diagnosed with any of the ailments mentioned in the policy document. 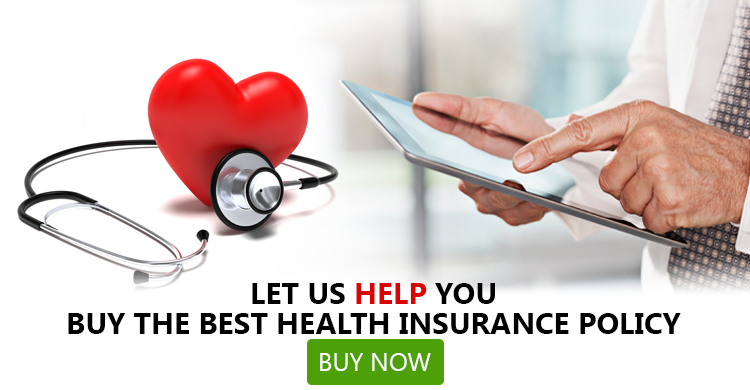 Finding the best health insurance online in India is not easy, however, if you know what you need you can grab the right health insurance plan. While buying, you should also go through the policy documents thoroughly to eliminate the chance of any unpleasant surprise at the time of claim settlement. To avoid claim rejection you should also try and get your health completely checked up even to ensure that you don't have any pre-existing diseases even if your chosen insurer doesn't mandate it. There are plenty of good health insurance plan online in India in spite of filtering them in terms of restrictions, benefits and coverage. You can visit GIBL.IN if you need a good platform to compare health insurance plans on the basis of features, premium and claim settlement ratio and performance of the provider. GIBL.IN also facilitates easy purchase and online renewal of insurance policies so you can also use this premiere online insurance marketplace to buy and renew health insurance online in India.